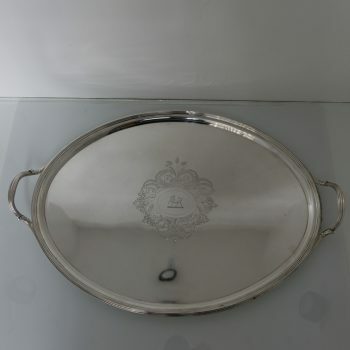 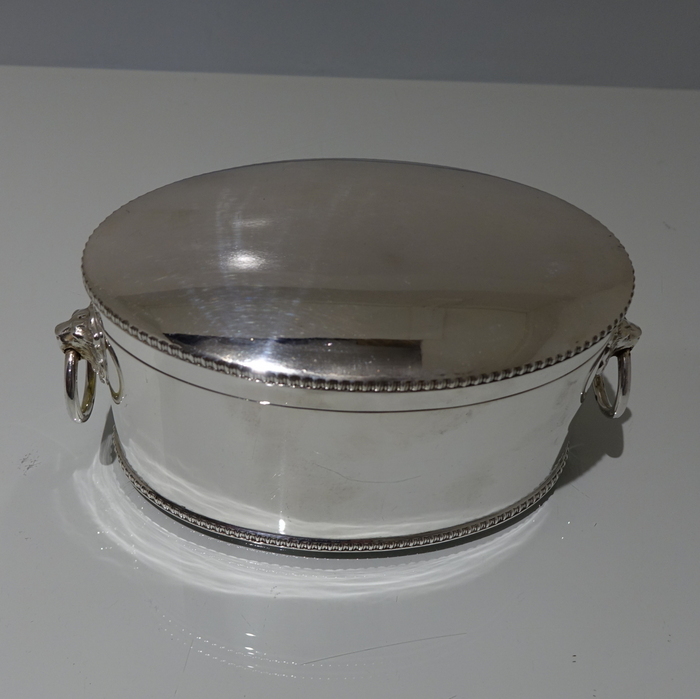 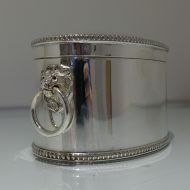 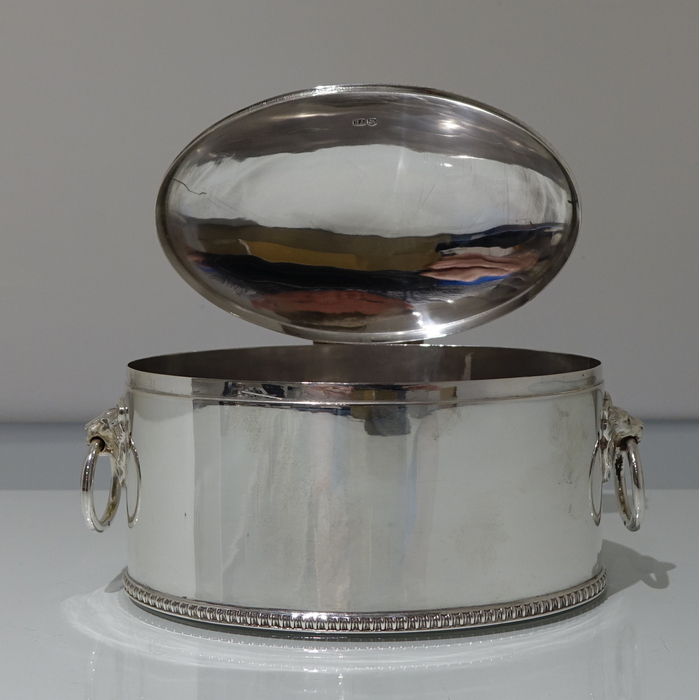 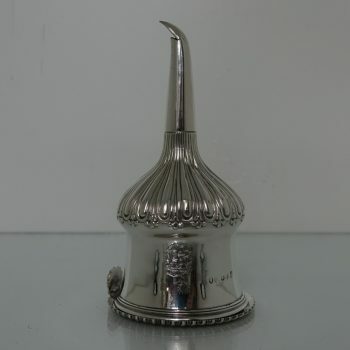 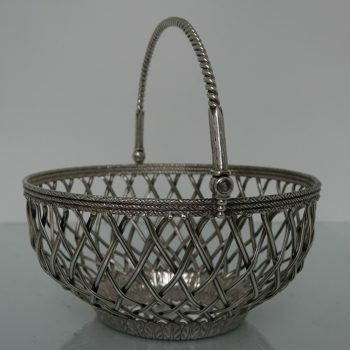 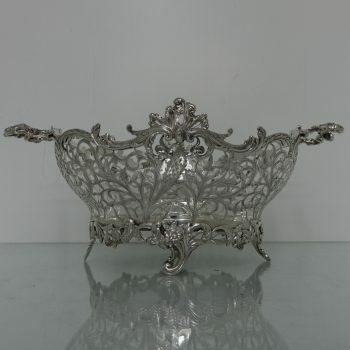 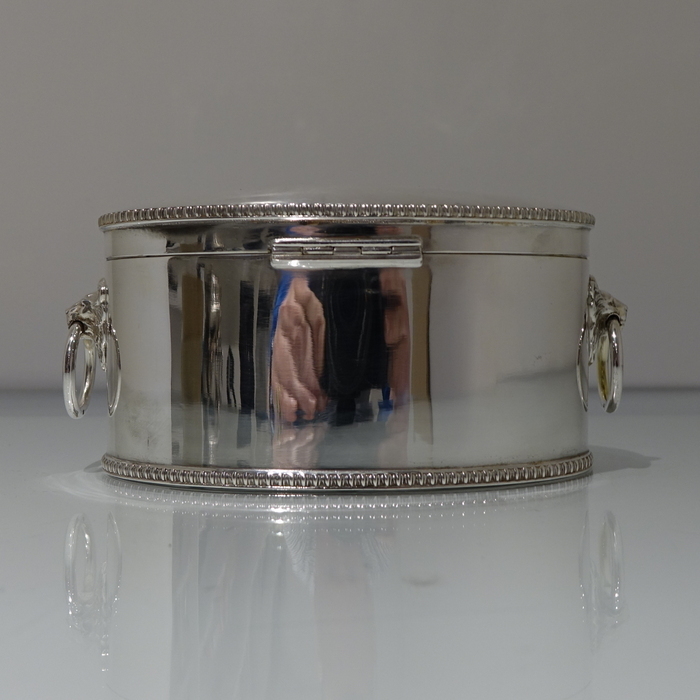 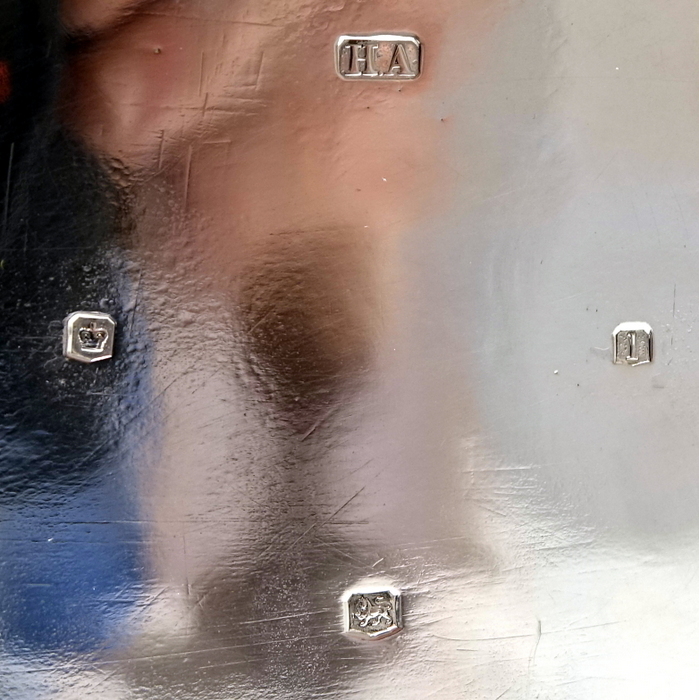 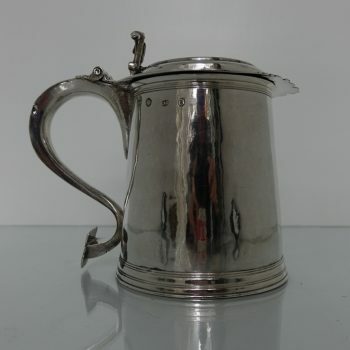 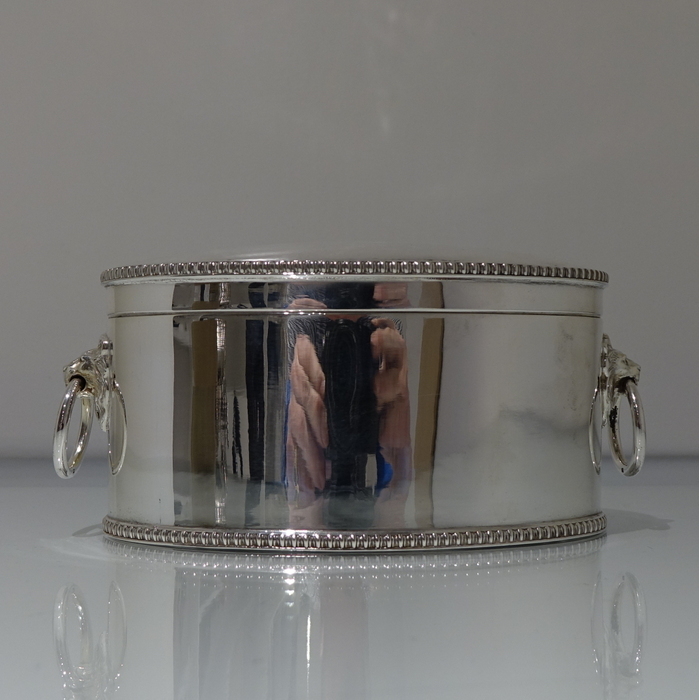 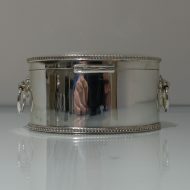 A stylish plain formed oval silver biscuit box with hinged lid. 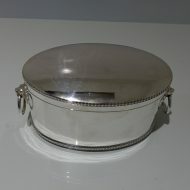 A stylish plain formed oval silver biscuit box with hinged lid. 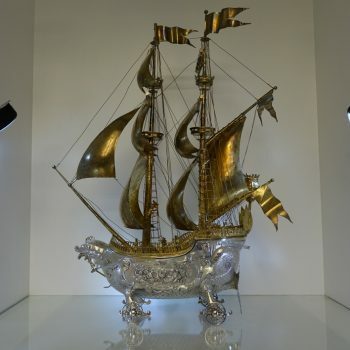 The sides of the body have elegant drop ring lion mask handles and there is an upper and lower gadroon border for decoration.